Purpose: This paper aims to investigate the family situations and living arrangements of Sudanese immigrant families in the United Arab Emirates (UAE). Design/methodology/approach: The paper is based on data collected five years ago from 1,689 Sudanese expatriates in the UAE. Using non-probability sampling methods, they were selected from the Sudanese populations who have moved to the UAE since the 1970s. Findings: The findings indicate that immigrant Sudanese families face some difficulties in their family structure and living arrangements. Over one-third of husbands left their wives back home in Sudan and visited them at least once a year. Other families preferred to send their children to Sudan for educational purposes while the parents remained in the UAE working. According to the respondents, these arrangements are not ideal because family members become divorced from each other. 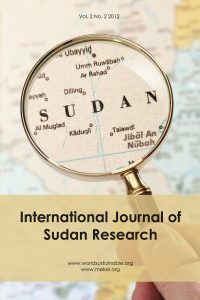 Originality/value: This is a valuable research because it is the first time an empirical study on Sudanese immigrant families’ structure and living arrangements in the Gulf countries has been executed. The findings are therefore of importance in a number of countries.